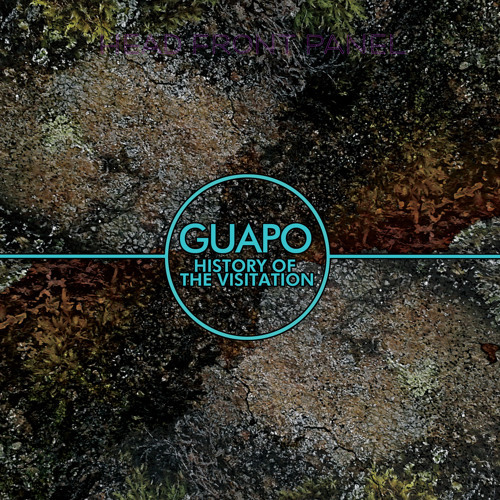 PURCHASE Guapo's 'History Of The Visitation' (Cuneiform Records) @ AMAZON: http://www.amazon.com/History-Visitation-CD-DVD-Guapo/dp/B00AALHW3C/ BANDCAMP (digital - audio only from CD+DVD): http://cuneiformrecords.bandcamp.com/album/history-of-the-visitation ITUNES (digital - audio only from CD): https://itunes.apple.com/us/album/history-of-the-visitation/id594018321 WAYSIDE (physical - ships worldwide): http://www.waysidemusic.com/Music-Departments/Guapo-Eblast.aspx Prepare yourself for an experience that’s simultaneously otherworldly and assaultive. On paper, the music of Guapo reads like a riddle – the British quartet’s sound is based around ideas like controlled chaos, atonal harmony, uplifting darkness, and beautiful destruction. Nothing about the band or their work seems to adhere to even the most open-minded set of preconceptions about the meaning of umbrella terms like “rock,” or “progressive,” or even “experimental.” But when you abandon the need to reconcile any of these concepts with each other, and simply let their latest album, 'History Of The Visitation', speak for itself, everything becomes radiantly clear. 'History Of The Visitation' is the ninth album from the forward-looking foursome, and their second for Cuneiform Records (their last one for the label was 2004’s 'Five Suns', and they’ve since released 'Black Oni' (2005) on Ipecac and 'Elixirs' (2008) on Neurot Recordings. The band’s return to Cuneiform finds them following through on the kind of epic constructions that sprung forth from the aforementioned albums. The record is dominated by the 26-minute tour de force “The Pilman Radiant,” offset only by the 11-minute journey “Tremors from the Future” and the considerably more compact sonic sculpture known as “Complex #7.” Over the course of the band’s 19-year history, fans and journalists alike have tossed a lot of comparisons in Guapo’s direction. Magma, The Ruins, King Crimson, Univers Zero, and many more names from the “progressive” and “Rock In Opposition” realms have been bandied about as reference points, and references to the likes of The Mars Volta or Boris wouldn’t be completely out of line either. And while elements of all of the above can be heard within the bold, bracing aural environs of 'History Of The Visitation', they only account for part of the story. Certainly the commonalities of the aforementioned artists – a tendency towards dark, moody, sometimes menacing musical colors and an abhorrence of all overt rock tropes – are crucial to Guapo’s m.o. as well. But 'History Of The Visitation' can’t simply be considered the sum total of its most obvious influences. For one thing, the presence of reedmen Thomas Scott and Dave Newhouse from Maryland avant jazz-rock institution The Muffins among the album’s guest musicians should alert keen-minded listeners that the take-no-prisoners harmonic melee of modern jazz is among the sonic subtexts here. And the addition of strings, woodwind, and brass serves to underscore the orchestral side of what Guapo accomplishes in the sweep, scope, and near-symphonic grandeur of their extended compositions. In other words, when approaching HOTV, leave room in your mind’s eye for the image of Sun Ra jamming with Stravinsky. Both the CD and the limited-edition vinyl versions of the album come with a bonus DVD featuring a spellbinding performance of “Five Suns” filmed at NEARfest 2006 in Bethlehem, PA, and “King Lindorm” from the 2007 Rock In Opposition Festival in Carmaux, France. This is the only live footage of the band available to the public and features former member Daniel O'Sullivan of Ulver and Sun 0))).